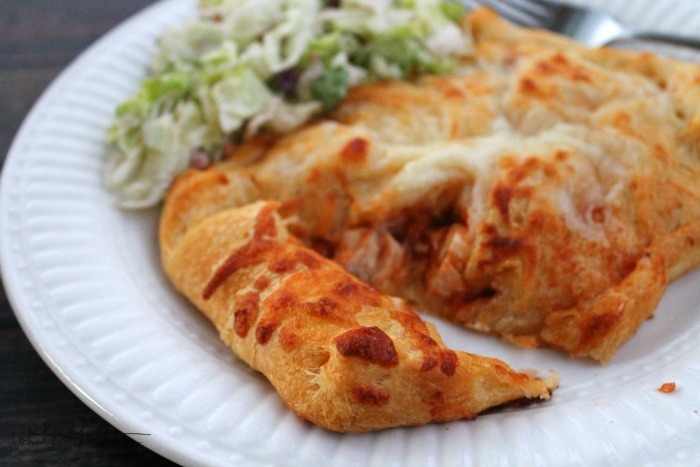 Homemade hot pockets are just as easy to make as a homemade pizza is. Just like any other homemade recipe, the ingredients that go inside are totally up to you. The pesto pizza pocket is delicious and healthy. I like to make a fresh pesto sauce and allow it to rest in the refrigerator while I work the dough. This recipe also works for making a medium to large pizza. Here’s what you’ll need for the pesto sauce. 3-5 Cloves Garlic – I like extra garlic so 5 might be too much for some folks. You’ll need a food processor to make your sauce. An electric or hand powered one will work. Blend the basil and Pine Nuts in the processor until they’re smooth. Add the garlic and cheese blend and pulse for about a minute or so. Slowly add the oil into the processor. If you add it too quickly it will separate. Mix in the salt and pepper, cover, and let stand in the refrigerator while you work the dough. I generally use the same exact dough recipe that I use when making pizza. You can buy yours pre-made or use something like crescent dough for a flakey crust. Either way, I use about one pound of dough which is the same amount I use when making a medium to large pizzas. Pre-heat the oven to 450 degrees Fahrenheit. Roll the dough out into a rectangular shape and cut strips about 3-5 inches wide. The size isn’t so important it’s more of a preference or according to how many you plan to feed. Some people like to make them the shape of a calzone which is perfectly fine too. I use about a tablespoon of sauce for each individual pesto pocket depending on the size. Add the rest of your fillings and enclose your pesto pocket. Be sure the top and bottom dough is sealed well and place them onto a pizza pan. (It’s good to dust the pan with some cornmeal or a light sprinkle of flour.) Bake for 10-15 minutes or until the crust is golden brown. You can use pizza dough for this recipe but I love to use crescents. You can chat and buy some crescent roll dough or make it yourself. The ingredients are up to you but I like to make an egg white omelet. A Tablespoon or so of melted butter to brush the inner crust with. Simply whip up your omelet with all of the fixin’s. Add or subtract what you wish. Open your crescent rolls, you’ll need two triangle sections for each breakfast pocket. Brush on the melted butter, add your filling, place the top crust on, seal it shut, and bake until golden brown, 10-15 minutes. This one is super easy. When I make chicken parmesan for supper I just make extra for the next night’s Chicken Parm Pockets. You can make it fresh of course but I like the leftover method! The only thing you’ll want extra of is the sauce and cheese. Roll out your dough. Add a tablespoon of pizza sauce per pizza pocket. Dice up the leftover chicken or use it whole, sprinkle on a little extra cheese, and bake at 450 degrees Fahrenheit for 10-15 minutes or until the crust is golden brown. When you’re making homemade hot pockets there are no real special ingredients you can use your imagination and be creative. If it will work on a pizza then most likely it will work inside of one. I have even experimented with beef stew and mashed potatoes and it worked pretty well too, you just have to have a thicker gravy! I hope this sparks the chef in you, we’d love to hear some of your favorites! Do you know any homemade hot pockets recipes you want to share? Please add them in the comments below! Here are 11 chicken crockpot recipes for homemade dinners you might want to learn about!